So a good friend of mine got married a couple months ago (the first “friend” wedding I’ve been to! ), and for her bridal shower I really wanted to get her a personalized gift that wasn’t on her registry. I wanted to keep it simple, but get her something she can use as well. 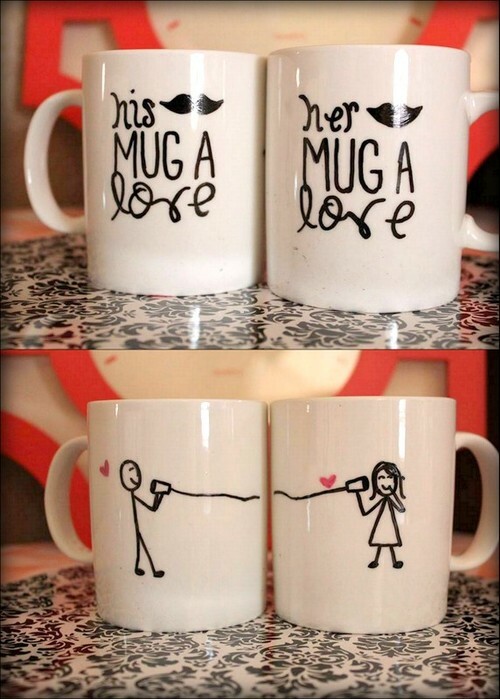 I saw the “Mug A Love” couples’ mug on Etsy and loved the idea! I decided to make my own pair for the bride and groom and I quickly got addicted to making more. 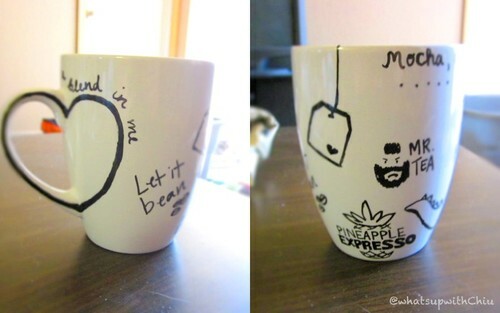 These mugs are so simple to make, and I love customizing my things! I am also a huge coffee addict, so I definitely put these to good use. That’s it – that’s all the materials you need! 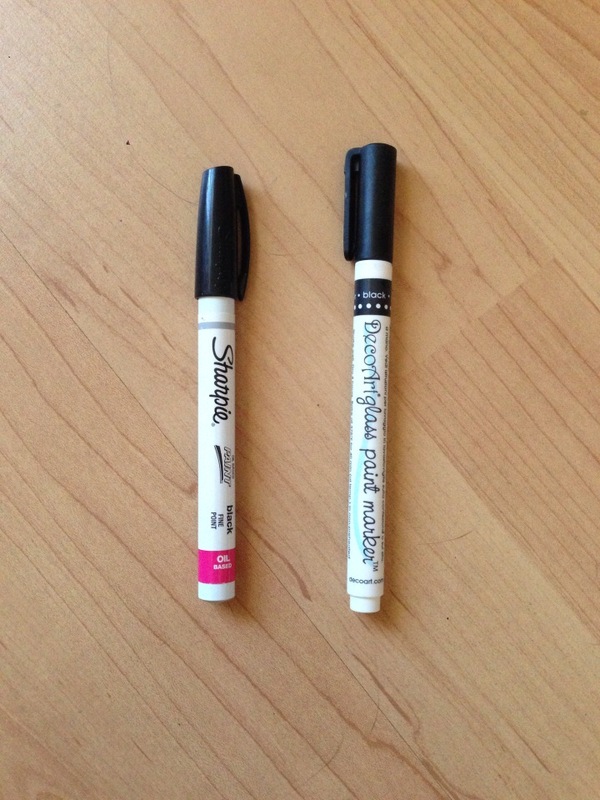 The two kinds of paint pens I used were Sharpie Oil-Based Paint Pen and the DecoArtglass Paint Marker. They specifically are meant for writing on glass and ceramic surfaces and can be found at Michael’s. I found that the DecoArtglass Paint Marker lasts longer than the Sharpie brand, but it’s up to you whichever you prefer to use! You can also choose any color/color combo you would like to draw with – make it your own! 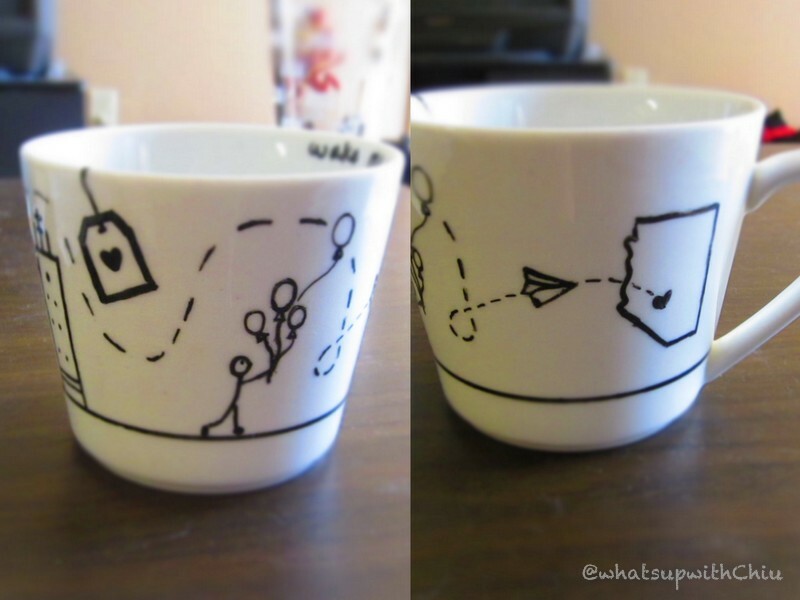 Once you have your pens chosen, all you need to do is come up with a design you would like, then start drawing right on the mug! Next, follow the instructions on the pen label on how to dry it. Usually the directions will require baking your mug in the oven. For my mugs, I let the paint sit and dry on for 4 hours, then placed them in the oven for another hour. 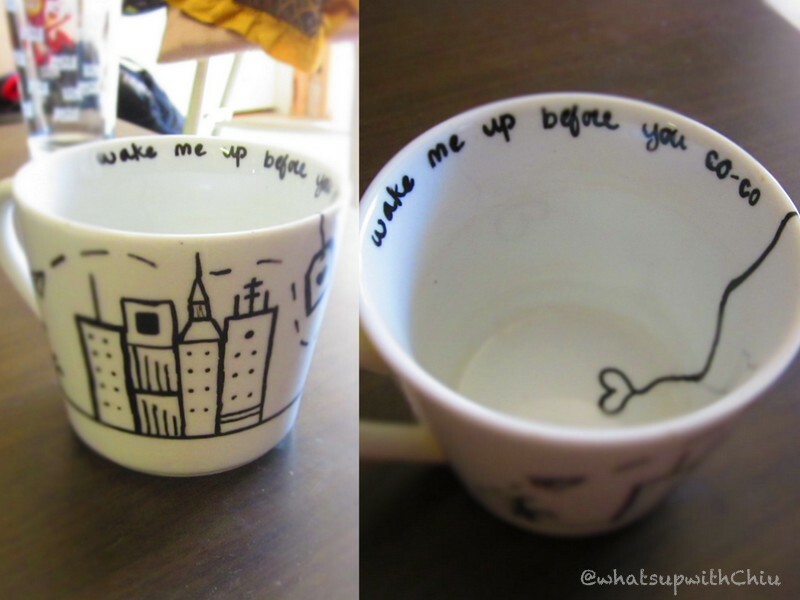 This makes your design permanent on the mug. Don’t worry if you mess up when drawing! You can easily wipe away your mistakes with a paper towel and a bit of rubbing alcohol. Enjoy!